The second week of August 2010, my little dog, Harold, whom we adopted as a senior, (around 13-14 years old) was diagnosed with oral cancer (melanoma) and lymphoma. It was confirmed that the tumors were malignant and that they would rapidly spread to his other major organs. He was basically expected to live for around a month longer, maybe two months at best. Our vet made some suggestions for chemotherapies or herbal treatments. I was very grateful for her help but my previous experience with such treatments for another one of my dogs was not at all successful and he died rather quickly after being diagnosed and having the tumors removed. After letting the tears flow for a short while I decided that we wouldn't go down without a fight and began researching alternative natural remedies. During my research I came across the Budwig Diet and the use of Essiac tea together to attack the cancer cells and stave off the spreading of cancer cells to other organs. I was hopeful but doubtful as the tumors grew rapidly and encompassed one side of Harold's cute little face. I persevered with the treatment, however, and cleaned the raw oral tumors 3-4 times daily. It was becoming almost unbearable to see his face being taken over by such a mass and once the tumor started regularly bleeding I braced myself for the inevitable and prepared my emotions for his demise. Last week, nearly 3 months since he was diagnosed, I noticed his movements slowing and he stopped eating. I then fed him by hand and used a spoon to get him to ingest his daily doses of cottage cheese and flaxseed oil. I hadn't completely given up but had decided that if he did not show improvements soon then I would not allow him to suffer any further. The treatment had given him two more months than expected and that was a great gift to have been able to have spent that time with him. On Thursday of that same week I fed him in the morning, cleaned the bleeding tumor and treated him with some antibiotics. I then left for work, not returning home until 12 hours later. When I returned home my wife had already fed him because he had eaten all of his organic food and cottage cheese-flaxseed oil mix without hesitation or help. I found that strange but was pleased. I then went to clean the tumor and noticed something odd...the tumor on his mouth was no longer raw and bleeding. It had also shrunk to about half the size. The tumor on his lymph node had also shrunk from the size of a plum to about the size of a small walnut. Over the course of the last five days the tumors have continued to shrink and are nearly gone. Harold has tons of energy and seems healthier than ever. I can offer no other explanations for his miraculous recovery other than the use of the Budwig diet, Essiac tea, and a natural, organic diet. It is truly amazing and I thank this site, as well as others, for bringing this information to all of us. As I write this I am crying tears of joy instead of tears of sadness. My 6 lb, 9yo yorkie has a melanoma tumor in his lower right jaw. Surgery is tomorrow. So far it's not anywhere else that they can tell. They'll check his lymph nodes during surgery but they are not swollen. Our hope is that taking the portion of his jaw will beat this but I want to make sure it stays gone! I want to start him on the budwig diet right after surgery as well as including the tea and even a vitamin supplement. Does anyone out there know the measurements for such a small size pup? I'm so so grateful for finding Harold's story! Thank you all for sharing your stories! Does anyone know if we brew the tea, cool it, and then clean the oral melanoma tumor? Also, how much of the cottage cheese flax mixture do we give? Is there a formula per pound of weight? Thanks for any help you can give. Just found this site and want to start treatment tomorrow. Prednisone helped AJ eat very well, which included the Budwig Diet twice daily. The oncologist gave my Golden Retriever about a month to live too, but he was still eating well and active at one month so she refilled Prednisone pills for another 30 days. If Prednisone helps Snoopy eat, then it could also prolong his life. It helped AJ for about two months until the Oral Melanoma broke through his nose. Thank you for your kind words about AJ. Also, thanks for sharing the EBC-46 articles. That is amazing! I hope the drug will be available SOON for Ottar and many other loved pets still fighting cancers. Yesterday, my 4 years old golden retriever Snoopy was diagnosed with Lymphoma with one month left. Doctor gave him a Prednisone shot and he started eating. He will not eat at all but after he had the Prednisone shot he eats a lot. Doctor said his life will be ended when he finished the one month supply of Prednisone. I want to try the Budwig Diet but he does not eat. Can I use Prednisone so he will eat so I can continue the diet on him? Huyen, I forgot to say thank-you for your good wishes for Ottar and his fight :) I appreciate it so much. You did so much for him and I'm sure too he's running around happy, cancer-free and watching over you. Truly my thoughts and sympathy are with you. We are still battling away for Ottar, it's getting quite hard - the peroxide is eating into the tumour it seems - our vet checked it last week and he confirmed there's a lot of decaying tumour going on, but the tumour is getting so big at the same time it's pressing his tongue sideways. A piece of tumour the size of a grape got cleaned off last week and more bits coming off but it feels like a race against the tumour growing. He is still eating pretty well and has more good days than hard ones but what a tough thing. "In preclinical trials we injected it into our models and within five minutes, you see a purpling of the area that looks like a bruise," Boyle, from the QIMR Berghofer Medical Research Institute said. "About 24 hours later, the tumour area goes black, a couple of days later you see a scab, and at around the 1.5 week mark, the scab falls off, leaving clean skin with no tumour there. The speed certainly surprised me." Chrissy, I wish you good luck and success in helping Ottar with fighting cancer. We got the 3% Hydrogen Peroxide Food Grade at the Whole Foods Market so no need to dilute it. We can see more AJ's teeth after one week after using the hydrogen peroxide 3-4 times daily. I learned about the cleaning product from this site. Our family and our little pug-mix miss AJ very much, but AJ is in a better place where he can run, play and be cancer-free. I encourage everyone whose furry kid is still fighting cancer(s) to continue to share your stories online with others. Good luck and best wishes. Yesterday I learned a big lesson in Hydrogen Peroxide Food Grade 35% - it HAS to be really really diluted - I accidentally got some on my skin undiluted and it was severely burning! So glad I experienced that though - I would've had no idea it felt like that. So I looked up dilution rates and to get to 3% the consensus was mix 1 part Hydrogen peroxide with 11 parts water. Did that and tested that on my skin, especially looking for cuts to see if it would sting. It did a bit but then that went away. So we carefully put a few drops of 3% peroxide onto Ottar's tumour and it bubbled like crazy - hopefully killing any infection. He seemed ok with that too, but today he's had a big bleed of the tumour. He seemed pretty low before the bleed but better afterwards. Not sure what the bleeding is all about, but I'm thinking we might alternate the salt wash and the hydrogen peroxide wash - it's just so hard to know exactly what to do... maybe a salt clean in the morning and the peroxide at night to try to cover the bases. It seems so important to keep everything as clean as possible. Hi Chrissy. Thanks for your kind words. First, I would like to let you know that I am sending nothing but positive energy your way during your fight. Second, with regards to cleaning the tumors, I followed along with the Budwig Protocol by not using any unnatural products whatsoever, including any medications. With that in mind, when cleaning the tumors I used a simple saline solution consisting of distilled spring water and organic sea salt which I sprayed onto the tumor 4-5 times/day and lightly cleaned it with a fresh gauze. Hello Kris and everyone who reads this post; first of all Kris I am so sorry to read Harold has passed away and I'm sorry to all those who have now lost their beloved animals to this terrible disease :( My thoughts are all truly with you. Please could someone help me in my desperate battle to save our 12 year old Sheltie boy Ottar who has been diagnosed with oral melanoma approx 2 months ago now - I just need some advice please re using Food Grade Hydrogen Peroxide to clean his tumours. I managed to get some today and am trying to research how to dilute - everywhere says dilute to 3% or else it can be caustic - so I guess I will be doing that - but what did anyone else do who used HP to clean their dog's tumour? Did it get diluted and how much did you use to wash the tumour with and how often? The main treatment that we've come up with after a lot of research however has been organic Turmeric powder mixed with New Zealand Manuka Honey into a paste. This we apply 3 times a day to the tumour - just pack it into it and it stays on the tumour pretty well - it's quite imprecise how much we use and how we mix it up - we just put the two together with a bit of oil and filtered water until we get the right sort of paste (he even likes it). The tumour has gone from bright red to all shades of grey and white - we've noticed a pattern of change - it gets dark and then turns white in patches then sort of decays away. I really truly believe this paste and the Essiac are decaying this tumour - I am thinking if a tumour goes white like that it might be being deprived of blood supply which would stunt/kill it? One benefit has been Turmeric has helped his arthritis too. Anyway luckily he is still eating well and pretty much himself most of the time, but I'm desperate to get rid of this tumour for him. So please - I would love to know more about the finer points of using Food Grade Hydrogen Peroxide to clean oral tumours, with his clawing at it I'm worried it will get infected plus I've read how cancer doesn't like HP due to it's oxygenation affects. Thanks to anyone who could help, and anyone out there going thru the same things with their dogs, give Turmeric a try, I'm so sure it's doing great things for Ottar - his tumour doesn't like it and we're sure it's halting it at the very least (not to mention the strange decaying parts of it which give us a lot of hope). I'm so very happy and grateful this thread is still active and thanks to Kris and everyone who have shared their stories and advice - it means the world to those of us out there struggling away trying to save our wonderful best friends with this problem. I use a hand-mixer to mix the 2 TBS. of low-fat cottage cheese with the 1 TBS. organic Flaxseed oil and Fish oil with EPA and DHA together and then feed AJ the mixture prior his main meals. Kris: I'm sorry to hear about Little Harold's, but I'm glad he went to "doggie heaven" because of old age and not cancers. Thank you everyone for sharing your stories and information online. Harold and Prince successful fighting against cancer(s) is an inspiration of hope for our 11 years old golden retriever AJ who was recently diagnosed with malignant oral melanoma and lymphoma in mid-August. The oncologist estimated AJ will have about a month. She prescribed Prednisone to help make AJ comfortable while he still here. AJ was not eating well and was only 59.5 lbs. after a major surgery in early August to remove large gallbladder stones and spleen with a large mass(benign). The biopsy reports came back with malignant oral melanoma and lymphoma (intestinal and lymph nodes). This helpful site was the starting point in changing AJ's daily diet. I do simmered chicken breast and liver in low heat as well as steamed the frozen broccoli, cauliflower, and carrots prior to blending the steamed veggies with Kale or spinach into smoothies. I use a hand-mixer to mix the 2 TBS. of low-fat cottage cheese with the 1 TBS. organic Flaxseed oil and Vitamin E oil together and then feed AJ the mixture prior his main meals. I was not sure if I should use Steel Cut Oats or brown rice since I was trying to keep AJ on a protein, non-grain diet. I am considering using Monica's method of mixing food into meatballs using the steel cut oats. Kris, I was wondering how you prepare Harold's meal daily? Do you prepare in batches for a few days? I started using "Only Natural Pet" B.S.S.T. Herbal Formula which contains the four herbs in the famous Essiac formula a few weeks ago. The bottle comes with a dropper so it's easy to add to his meals. I also use Pet Immune Strengthener (open capsules and put herb powder into his meals) twice daily. AJ was bleeding A LOT the last 2-3 weeks and it made him tired and weak. The vet prescribed Yunnan Baiyao herbs at the price of $35 and it seemed to help. My husband found the Modern Herb Shop online and ordered more Yunnan Baiyao for $7. There are days when AJ is so weak from all the bleeding that we considered letting him go so he will not suffer, but AJ continued to ate all his home-made meals (probably because he was on Prednisone) so my husband and I decided (after talking to AJ's surgeon) to continue on his diet until AJ no longer eats and/or walk. AJ does short 5-10 minutes daily walk at least 3X to go potty and get little exercise. As of today, AJ is not bleeding as much, but we're still waiting on the tumors in his mouth to shrink. About a few weeks ago, a dead tumor just fell off in front of his mouth gum. There's a smaller tumor there now so I worried the tumor is still growing and spreading because we still see some bleeding. We are searching to get the food grade hydrogen peroxide to clean his mouth after meals soon. I hope that this cleaning product and his daily diet will eventually shrink the tumors and fight off the cancers. I appreciate all the shared and updated information on this site. Please continue to share your stories online to aid other parents with canine cancers. Thank you Hazel for your kind words. Without the information from this site and other like-minded people we would have not been so blessed. So sorry to hear the passing of Harold, Kris; but heartened to know that it was old age that took him, not cancer! Harold was a true cancer fighter and survivor. It's been 4 years since you told us about "little Harold's" fight with cancer, and I am really glad that you were able to have 4 years of quality time with him. Treasure your good memories with Harold and please know that YOU played the biggest role in giving him these 4 extra good years! It is with both sadness and gratitude that I write this post. Little Harold, at the age of 20, died earlier this summer. He was a loyal and loving boy with the heart and courage of a hero. I am grateful to have had the joy and honor of making him a part of my family for over 6 years. It was not cancer that finally took Harold but rather the natural process of age, as it should be. He will live on forever in our hearts and memories for his strength, courage, and love. My thanks to all who supported him through his battle and to those who provided me with the information to help him live on for another 4 years after being diagnosed with cancer. Keep up the great work you do because it truly does make a difference. I am SO EXTREMELY grateful for this site. My 10 yrs old beagle just has his second mass removal yesterday. He had a mass removed (exact same area of his mouth) 2 months ago. He was first diagnosed last December with Oral Melanoma (His first mass removal) We had decided not to go with the chemotherapy and the removal of the entire side of his mouth as this was only going to prolong his life for 6 months. It was a tough decision to put him through a third surgery but he is completely healthy otherwise...active, great appetite and alert. My dog loves to eat! Even as the mass started to bleed, he would still be begging for food. Because his health was not deteriorating in any other way, we decided to do the surgery to make him comfortable after being advised he probably does not have much longer with us. I started researching online and found out about the Budwig diet. I went out today and bought all the recommended ingredients. My dog loves to eat so it was no surprise that he willingly devoured the cottage cheese and flax seed oil mixture. I am going to slowly wean him off the kibble food and just feed him chicken/ beef, liver, veggies and a little fruit. I also picked up the probiotics plus 8 that will be added to his food as I read digestive enzymes should be incorporated into their diet as the cottage cheese can be fatty for dogs (I did buy organic low fat). I am just learning about the Essiac tea now so I will run out to find some later today. I am hopeful and will be praying that this new diet plan will work to out as it has for many pets and their owners. I am sad to hear about Mylo but it seems that you were able to spend much more time with him than anyone would expect. Your love and dedication to him is an inspiration. Our pets always live on through memories and the joy they bring to us. RIP My Best Friend Mylo, you will be forever in my Heart! When your dog's tumors started to bleed out, was the blood bright red? All that is coming out with the drool is a brown, old blood looking colour with Mylo. Luckily it was in the heat of the summer last July that Prince's was so big and awful... because I too would wash his mouth out with the hose outside after he ate... this was before I started popping the mini meatball's in his mouth to avoid food getting all over his mouth. I just think the cleaner you try to keep it the better. I'm glad there was blood too because it really seems like Harold and Prince are having the SAME experiences. Prince has another on the top now that has not grown any bigger. I first noticed it about 3 months ago? Essiac Essiac Essiac. I don't feel like you can give too much, but I need to try and do a little more research. I think maybe the only side effect may be an upset stomach? like the peroxide? Again. I'm no doctor. these are my experiences. I have said a prayer for precious Mylo... I'll light a candle for him. Let's hope that your journey takes a positive turn soon. It was about 2-3 weeks of bleeding out before the tumors began shrinking so hang in there! Mylo is so lucky to have someone give him the time, energy, and love that you do. Harold's newest tumor has not grown at all since I spotted it about two months ago. I started him immediatetly on the Essiac Tea and Wi Kei pills. He is doing great. Hoping this is it, washed Mylo's tumor this morning with the hose outside after our morning walk and it bled like crazy. I've never been so happy to see blood in my life. I hope this is the beginning of the bleed out stage before it starts to heal. This has been so much work, but it will be so worth it if Mylo gets better. Once again thank you guys for all your support and help. Feeling very hopeful this morning. Does it eventually just bleed on it's own, just a bleeding tumor? One more week and we have two months in. Mylo is having a down day today and it's breaking my heart. He has been an excellent patient. I give him peroxide 3 times a day. He has been eating his cheese and flax-seed mixture by himself two to three times a day. Although yesterday and today it has taken a lot of coaxing. And he even downs his pills one hour before eating, taking 6 a day. The tumor is now invading the next tooth up from the ones he had pulled and it's huge on the outside of his jaw and invading under his tongue. I'm wondering if the fact that I can't get totally organic meat is slowing his progress down. The chicken and meat I get has no antibiotics or hormones. Every day I get up wishing I would see this bleeding out that you talk about. The drool that comes out of his mouth is a bit brown with blood. But I'm assuming that bleeding out would be more red. It does seem to bleed some as it grows. Hope Prince and Harold are still doing well. Is anyone else new to this journey having any luck? So wishing something great would happen - Mylo's sad little thin face is killing me today! Mylo, are you using the food grade hydrogen peroxide? to wash his mouth out after he eats? Prince's grew for about a month and a half before it bled out and started shrinking. I'd go ahead and increase the essiac if it doesn't seem to bother him to two times a day. I found a place that was selling liver, heart kidney ground up especially for dog food. I am wondering if it is OK to be used, the farmer said his cows get no hormones or antibiotics. So I'm hoping that that is close enough to Organic. I'm mixing it with some chicken without antibiotics or hormones, and mixing that with organic carrots, broccoli, cauliflower and spinach. The tumour is still growing, he has 5 days in taking 3 essiac pills once a day one hour before he eats. I'm wondering if I should increase that to three pills twice a day. He is also eating 1T flax and 2T cottage cheese, three times a day. How long until the tumours started to bleed out and shrink, did it take three months before it started to work? I can only imagine the size it will be if it takes three months. Mylo is doing well as far as wanting to eat he has a great appetite. Did your dog's tumour have a grey colour to it, where it grows seems to be pink, and the breath is terrible? Trying to stay very possitive, but it can start shrinking any day now! Thanks for all your help you guys keep me hopeful. Prince's tumor (like Harold's) bled out for a week or so as well... seems that the bleed out was maybe the release? because after that it progressively got better. Re: the golden retriever... I would grind the chicken, broccoli and liver down, and then add the cottage cheese and flax oil into the mix, along with the essiac in pill form (open pill and sprinkle on. I put 3 capsules in Prince's food once a day.) I feed Prince 1 cup in the morning with the 3 essiac capsules, and 2 cups at night. He doesn't seem as hungry in the mornings. I take a teaspoon amount and make a meatball - hold it so that he's looking at you and he'll open his mouth... pop it in. This helps not to get the food all over the tumor. When I let him eat by himself, I would have to take him outside and wash his mouth out with the hose to get the food off the tumor and out of his mouth. When you hand feed him it just goes straight in and down. I give the cottage/flax in every serving. I cannot stress enough how important the food grade hydrogen peroxide is as well. You can get berry flavor at health food stores. Prince is 36 lbs and takes 2.5 ml. The golden should probably have 5.0 ml. Use the child administer syringe you get in the infant Acetaminophen boxes. Equate has a brand. I try to shoot the liquid right onto the tumor but the ingestion as a whole helps boost the immune system so that he can fight it off. That is what the diet is all about. I too am sending good thoughts... this is a lot of work. But it seemed to work for Prince. Don't lose hope! Harold's tumors became almost unbearable to look at before they started to shrink. They were bleeding out and seemed to grow daily. The change was rapid as they shrank and disappear in just a few weeks. We did feed him organic meat dog food (By Nature is the brand) and we find organic vegetables in the frozen food aisle of our local supermarket. They have peas, carrots, broccoli, green beans, and spinach. I am sending positive energy to both you and Mylo. So my Golden Mylo's on his fourth day of using the Budwig diet. I'm having a hard time finding organic vegetables; I need cauliflower and broccoli. We have a local market that is open on Saturdays so I'm hoping that will bring me some better luck. So he has been eating 1T flaxseed oil and 2T of cottage cheese mixed in the morning and at night. I was able to find organic chicken and carrots which is his lunch. My husband found some spinach to add for tomorrow. But his tumour is still growing taking a big jump last night. I plan to get him some of the tea tomorrow, the health food store here sells it in capsule form. So how much would a 75 pound dog need? Also how long til you saw any results, I would even be happy if it would just stop growing. Some sites seem to say meat is allowed while others say No. Do anything to not have to tell my five year old his best friend is gone. Mylo was our second retriever we got after having to put our first one down at 14 1/2. His full name is Mend a heart Mylo. Thanks for the resource Hazel. I'll check it out immediately. Glad to hear that Harold is still hanging it there, but a bit worried about the new growth. Hope you can keep it under control. 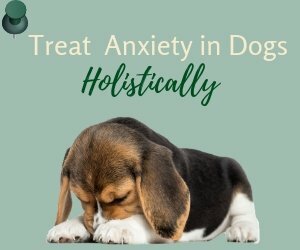 I have been doing more research on canine cancer, and have found another supplement that may be helpful for treating cancer. Have you heard of avemar (a natural supplement derived from fermented wheat germ)? Please google it and you will find quite a bit of information about it. May not be a bad idea to give it a try. I am also interested in your children's book on "Super Duper Harold Hooper". Please let me know when you have got it published. I may be able to help you promote the book on my site. It is a good way to raise awareness of canine cancer, and give inspiration to other dog parents going through the same ordeal. Just wanted to give you all an update on Harold. It has been nearly 18 months since the tumors vanished, however I noticed another one beginnining on the other side of his mouth. I have been vigilant with the diet and am starting the Essiac tea once more. I hope we can beat it again! I wanted to say thank you also to all who have read this post and commented with your stories of support and success. Since beating cancer we have renamed Harold formally to "Super Duper Harold Hooper!". I am also writing and illustrating a children's book about him. Hopefully his story of courage and perseverance will be an inspiration. I actually used an antiseptic spray wound cleaner from the local drugstore. I cleaned his tumor several times per day. I also have a golden who has been diagnosed with a sarcoma today. I am going to give this all a try and pray for the best. I was wondering what strength of food grade peroxide you were using to clean his tumours with. So it's OK to drink food grade peroxide. I just want to make sure I'm giving him the right strength of peroxide, I wouldn't want to do more damage than good. The brand I bought is OxyLife. It's an anti-microbial immune system booster. Get it at health food stores. I pour some into the cap and then use a baby medicine administer (for lack of better words) the kind that comes with baby advil or ibuprofin... It's syringe-like which makes it easy to shoot into their mouths. When Prince's tumor was real big I'd wait until he was sleeping and douse it then. It's berry flavored so no big deal. This is a super important part of the fight though. Hydrogen Peroxide has so many benefits to skin problems. Look it up. I've found a capsule form of the Essiac herbs. It's called Ojibwa Herbal Extract... brand name NOW. I used 3 capsules at each meal when it was really bad. I'm only using 3 per day now. Opening them and sprinkling them on the food. I was also buying Senior Chews, a multi-vitamin and mineral supplement and crushing it up onto the food as well. Any vitamin you can crush up onto the food should work. Good luck... sending good thoughts your way. Hi! I also have a Cocker Spaniel that has a huge mass inside his mouth. It cannot be removed because he also has a bad heart and won't survive surgery. Anyway, I made the food you recommended and he loves it! I would like to clean the tumor with the food grade peroxide, but I don't know what exactly to buy. I see where food grade is 35% and needs to be diluted and I also see where you can buy it already diluted? What strength do you use? Thank you so much for your quick response. We simply do not have the words to express our sincere gratitude for you sharing this information. We will be at Whole Foods tomorrow, for sure. We will keep you informed on Heidi's progress. Amounts... I feed Prince about 1 1/2 in the morning and 2 cups at night. He's a big eater... it's probably more than he needs but since we are fighting this by boosting his immune system with his diet and herbs, I am grateful that he eats. Again, If you have any more questions, please feel free to ask. I buy a frozen bag of chicken tenders, two containers of chicken livers (found in the frozen meat section), a bag of frozen broccoli, cottage cheese, and flax seed oil * at whole foods and believe it or not Wal-Mart and steel cut oats. I boil half bag of chicken (save the other half for next time) until it's done. It'll be stringy. Set it aside to cool. Using the same water, I add the livers - just dump the whole container in. Liver doesn't take long to cook - about 10 mins or so. It will be solid when you cut through a piece. (It's kind of stinky I usually open a window or the back porch door. Then again, I'm a vegetarian.) When you feel like the liver is done, drain the water, put the liver in a bowl and chill. The liver has got to be cold in order to grind it up in the food processor or it will just turn into a paste. You want it to crumble when you grind it. You can grind the chicken when it's warm, but the liver has got to be cold. I grind up both my meats and use rectangle plastic containers - the ones you get when you order Thai food work great. Next, the broccoli. I know it is against many health food gurus but I microwave the broccoli 4 cups at a time in a pyrex glass measuring cup, then grind it down. Set aside. Next, the Steel Cut Oats. When the oats are done, I take a very large mixing bowl and try to add equal parts chicken, liver, and broccoli. (I guess I add a little more chicken than the other ingredients.) Mix together, and then add the oats... Use your judgement about amounts. Don't skimp on the broccoli though. It's an important antioxidant. Put it into plastic containers and again, an important thing is to chill it. When the oats are chilled they solidify. Making it easier for you to form little "meat balls" for your dog. When I take the mixture out of the fridge to feed Prince, who is a 34 pound cocker spaniel, I give him about a cup and a half. So, I measure it out into his dog bowl, add about 2-3 tablespoons cottage cheese and 1-1 1/2 tablespoons flax oil and 1/4 cup essiac tea. I later found the herbal blend that is essiac tea at whole foods in a capsule that I can take apart and sprinkle onto the food. Works a lot better this way. Ask your local health food store about it. Mix ingredients, form mini meatball amounts. By this time I hope your dog is at your feet begging for the food like mine is. Take the ball, and hand it to him, when he opens his mouth pop it in... trying not to disturb the "areas of concern". I realized this after lots of trial and error. Hand feeding him cut down on the amount of food left on his mouth... disturbing the tumor. Another super important thing - Food grade Hydrogen Peroxide. At health food store. You will need to buy baby advil or the like for the little medicine dispencer it comes with. I shoot 2-3 cc's of peroxide directly onto Prince's tumor spots. I swear it eats the cancer away. Thank you for sharing your wonderful and heart wrenching story. I, too, have a Scottie who has been diagnosed with melanoma. Heidi has already had a malignant mass removed from her mouth. I would really like to start the diet, mouth rinses, etc. ASAP. Could you clarify how long the chicken/liver needs to be cooked, how much of each ingredient, how often it is fed to your pet, and how much to feed each time. Any help is greatly appreciated. Thanks again for giving us some hope. I forgot to add that we did use antibiotics for about two months along with a mild pain pill. This was post surgery to have the small melanoma removed. After surgery was when tumor exploded and grew very big. I believe the antibiotics helped with secondary infections and pain pill kept him calm and helped him sleep. He seemed to lick his arms when it bothered him the most. I can't believe it's gone. Budwig + essiac + food grade hydrogen peroxide to clean and home made diet. Thank god for that. I just wanted to post that we healed Prince's horribly huge and extremely fast growing tumor with the above. I also used food grade hydrogen peroxide to wash the tumor. Unfortunately he lost bone in the lower front of his mouth and on one side of his jaw, but I hand feed him the "meat ball" diet and am glad to do so. He's 13 1/2 years and feeling great! There is power in food people. Organic Chicken and liver, broccoli & cauliflower, steel cut oats, cottage cheese, flax seed oil, essiac tea, and Mona vie. Food process all together, chill, & tea spoon amounts formed into meat balls, then hand fed. He loves it. Good luck to you all. My heart prays for your success. We've been praying since Saturday, when lab results came back from a tumor removal diagnosed as Canine Melanoma. We'd pretty much given up until finding this website with this and other stories. Thanks for posting this, from Bonnie, our Scottish Terrier, and from my wife and I!! We're after the natural products today!!! Can you let me know what you used to clean the tumor? Thanks for your comments! Essiac tea can be found in different forms. I use a concentrate that is mixed with filtered water. Another name for it is Ojibwa Tea (for copyright purposes). I use the Ojibwa concentrate that I found in my local natural foods store and simply give him 1 ounce daily (he is only 15 pounds) when he is thirsty and has an empty stomach. He actually drinks it up without hesitation. Thank you so much for sharing this story. I too, am crying tears of happiness with you. :) This is great to hear that this treatment seemed to help. I hope you and your family have many more years with dear sweet Harold. So happy for you and Harold! Yay! Could you elaborate on the Essaic tea? I am using the Budwig diet already for my dog's masses - and so far they haven't grown at all - I would like to know how to buy the 'tea' and how to administer.Thank you so much for sharing. Thanks for such a wonderful story - I am so happy to hear that the natural remedies of Budwig Diet, Essiac tea, and organic diet have helped Harold recover so much! I sincerely hope that Harold will continue to heal and can enjoy a good quality of life for a long time to come. I really appreciate your sharing this uplifting and positive story with us. I am sure it will give hope to a lot of dog parents whose dogs are fighting cancer.